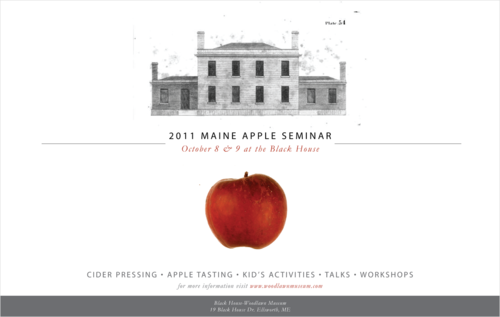 The Maine Apple Seminar aims to highlight the heritage apple varieties originating in Maine and put Mainers back in touch with their roots as an apple culture through events and talks by pomologists as well as cider pressing, apple tasting, workshops, and kids activities. To advertise the event, I created 1 large poster and 2 series’ of smaller posters. Though these posters take slightly different approaches, they were made to be visually consistent with each other so that they can be used together effectively as a larger campaign. My first design for the seminar was a large 34” x 22” poster that highlights the location where the event is to be held- the historic and locally iconic Black House. 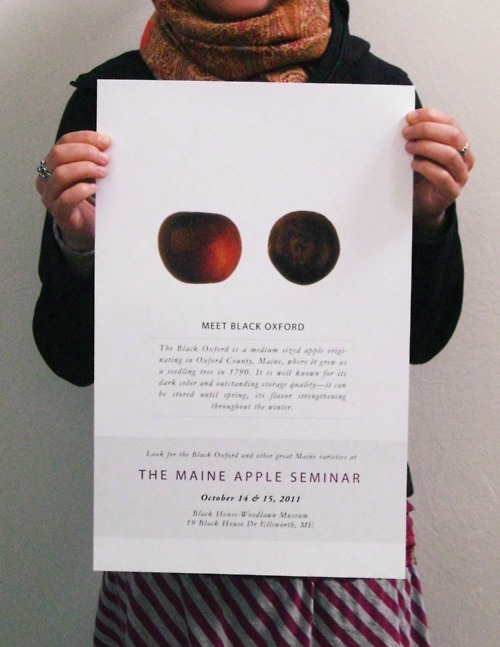 Next I created a series of posters around the idea of meeting your local varieties of apples. 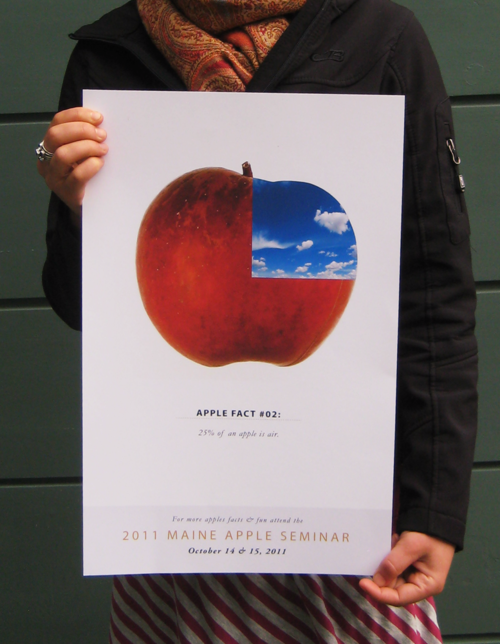 Each poster in the series highlights a different apple variety and some background about where and how it originated. 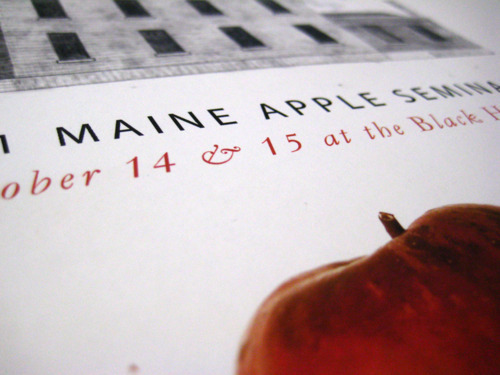 When displayed next to each other, they showcase the visual diversity of Maine heritage apples and their unique characteristics.